It’s not every day that a 1,000 year-old institution decides to throw open its doors to the public for the first time. 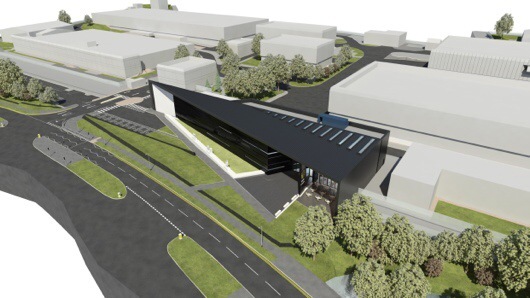 So we were super excited to be the people to announce that The Royal Mint would be doing just that, with a brand new Visitor’s Centre planned for 2015. Not only will members of the public get a fascinating look behind the scenes at how the pounds in our pockets are made, but visitors will also get the chance to strike their very own coin. We clearly weren’t the only ones to be excited by the news, as the Press Association, The Daily Telegraph, i, The Sun, FT.com, The Metro, Daily Mirror, Scottish Sun and BBC News Online all covered the announcement, alongside Good Evening Wales, ITV News, ITV.com, BBC Radio Wales, ITV1 Meridian South East News & BBC Wales Today. Including a broad sweep of regional titles like the Yorkshire Post, Glasgow Evening Times and Western Mail, and tourism mags like Discover Britain, we’ve bagged over 90 pieces to date … and counting. Another day in the coverage generation machine that is Team Royal Mint.